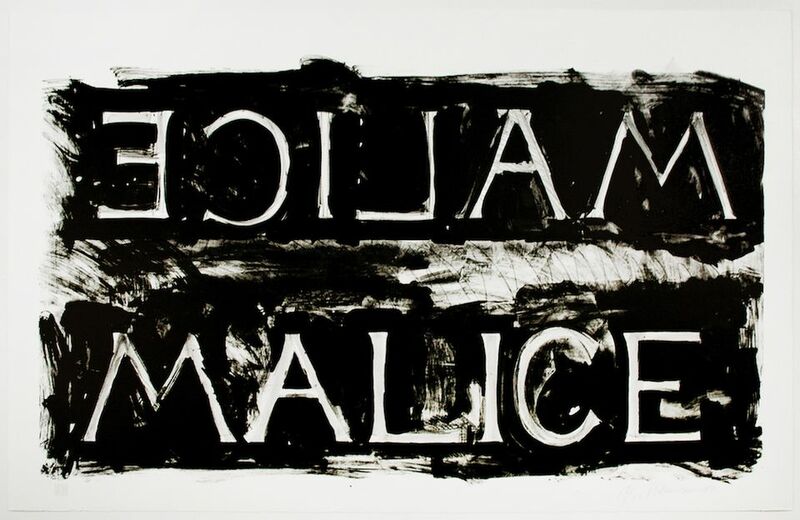 Brooke Alexander, the New York-based veteran dealer of prints and multiples, is showing a series of lithographs by the artist Bruce Nauman, including this one titled Malice (1980), priced at $12,000. Nauman’s text-based works, which often address violence and detachment, are informed by “how people refuse to understand other people, [and] about how people can be cruel to each other”, he once said. Christie’s London sold a signed edition of the same work for £7,500 last year. On Sunday (21 October) the Museum of Modern Art and its Queens outpost MoMA PS1 opened a major retrospective of Nauman’s career featuring installations, paintings, drawings, sculptures, performances and more, which runs until next February. The dealer is also offering a Nauman lithograph called Life Mask (1981) for $18,000. The London-based dealer Alan Cristea is offering a series of large-scale prints by the German artist Christiane Baumgartner, who is best known for creating woodcuts based on videos and photographs that evoke the effect of static on television screens. Much of the artist’s work is presented in groups and depicts the same scene captured moments apart, says the gallery. 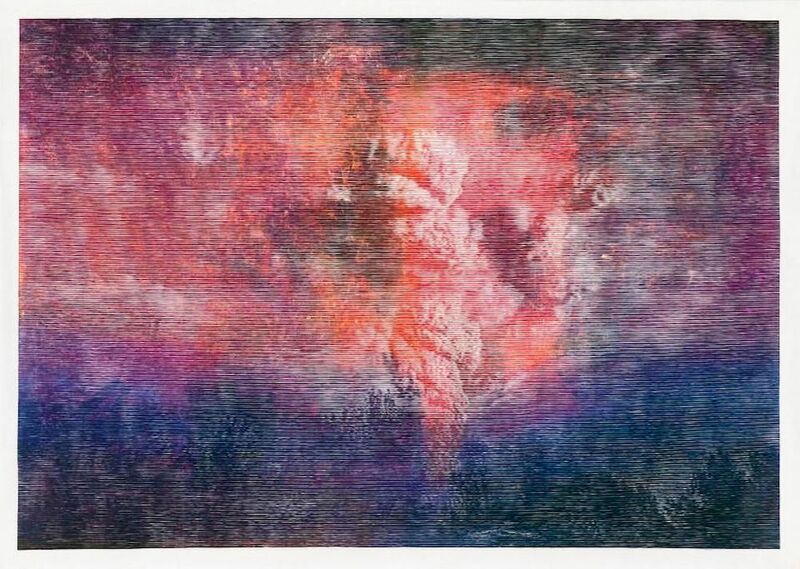 In this vibrant work, titled Phoenix (2018) and made of woodcut on Kozo paper, Baumgartner experiments with a found photograph of a billowing plume of smoke rising from a volcano. The piece, from an edition of six, is priced at $35,000 unframed. The artist currently has a solo exhibition at the Davis Museum at Wellesley College and will hold a conversation on Saturday (27 October) as part of the fair’s programming. The Berlin-based gallery Niels Borch Jensen Gallery & Editions is offering Quarantania (2018), a panoramic photogravure by the YBA artist and filmmaker Tacita Dean that is priced at $130,000. The work, made in an edition of 12, comprises seven framed panels depicting Mount Quarantania in Jericho, thought to be the “Mount of Temptation” in the Bible where Jesus was tempted by Satan during a 40-day fast. The work derives from an albumen print of the mountain captured around the 1870s and, combined with other images and vibrant colours, presents a psychotropic landscape intended to parallel Christ’s state of mind during the fast. This year the work was shown at the Royal Academy of Arts as part of Dean’s major multi-venue exhibition in London called Landscape, Portrait, Still Life, also staged at the National Gallery and the National Portrait Gallery.